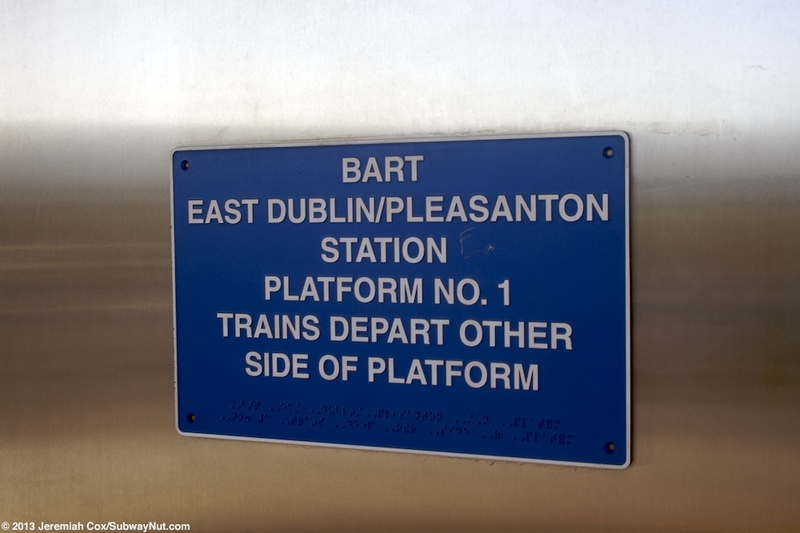 Dublin/Pleasanton (sometimes called East Dublin/Pleasanton to avoid confusion with the West Dubiln/Pleasanton infill station, that was its original name until the West station was postponed) is the terminus of the Dublin/Pleasanton Line. 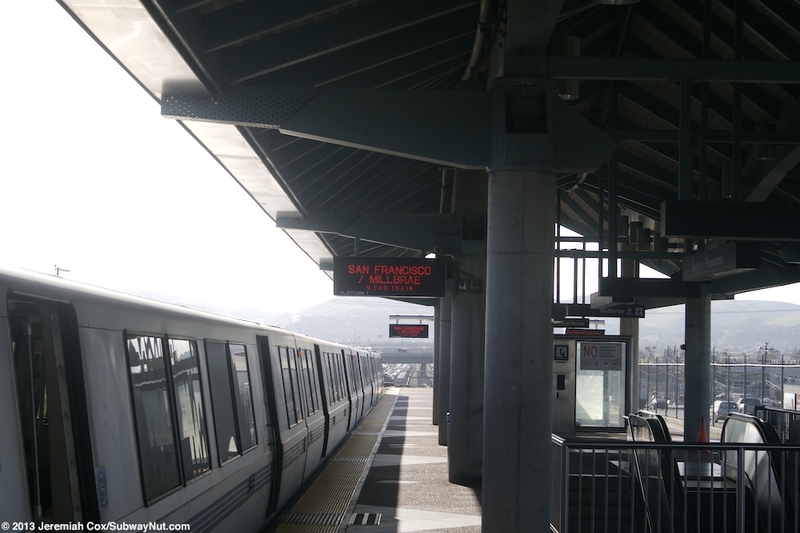 This station is the end of a 14 mile branch with only one intermediate station originally Castro Valley in the median of the I-580 Freeway that opened on May 10, 1997. 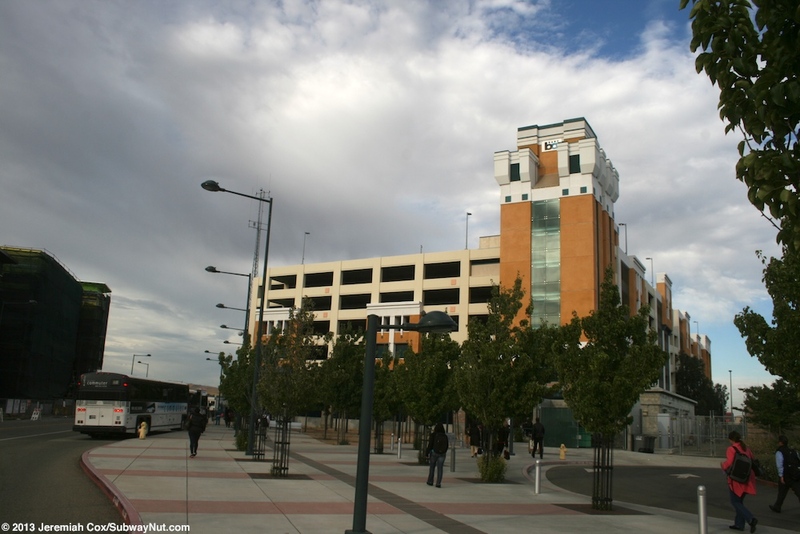 This station is a hub for the growing Tri-Valley Region with a huge 7 story parking garage with 2,973 parking spaces. 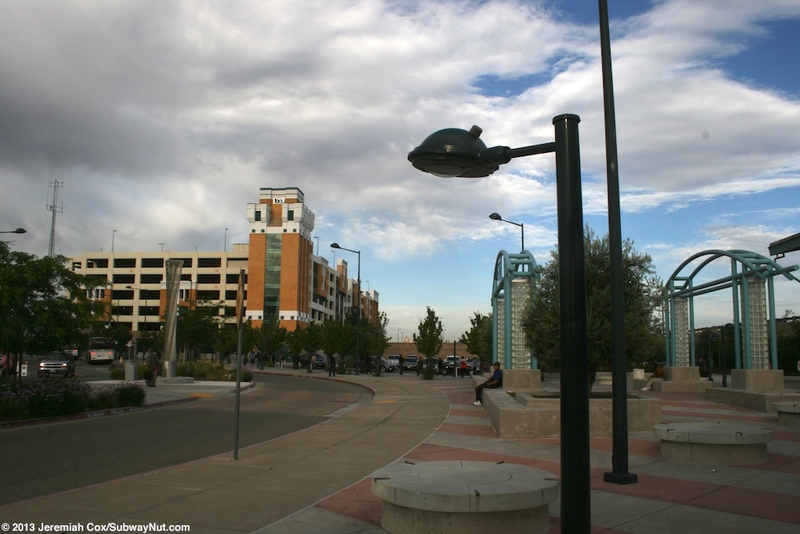 There are also bus loops on both sides of the station used for local and express connecting bus routes from five different agencies including local LVTA Wheels buses and Modesto MAX and San Joaquin RTD Commuter service to Stockton for super-commuters into the San Joaquin Valley. 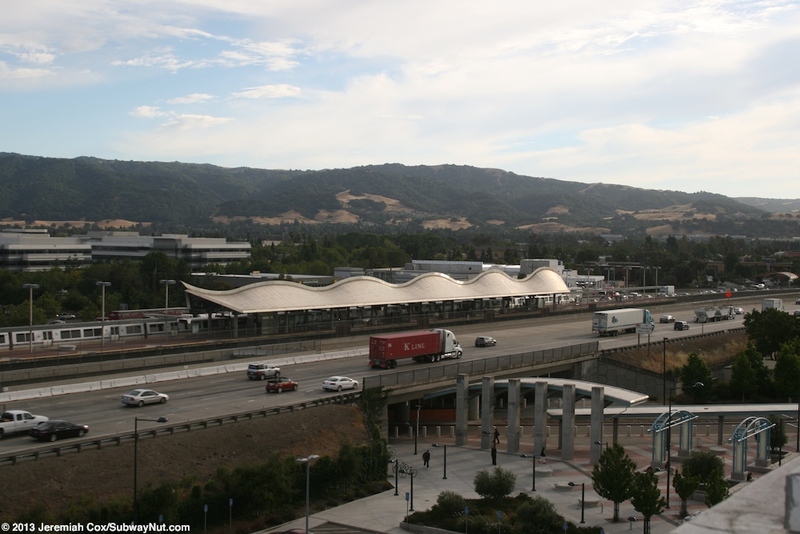 Amtrak California San Joaquin Connecting buses running between Stockton and San Jose also stop at Dublin/Pleasanton. 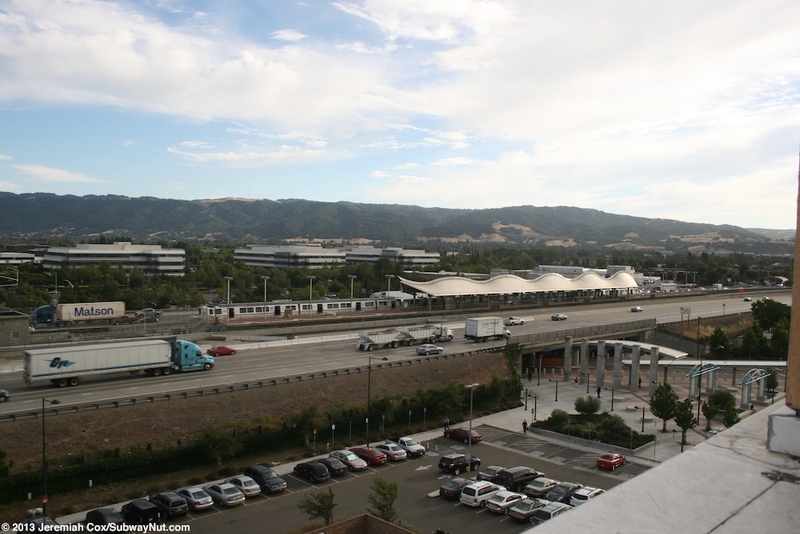 The name of the station comes from the fact that the freeway runs along the border of the City of Dublin (north) and the City of Pleasanton. More recently a transit oriented development has been built (and is expanding) on the Dublin Side of the station. 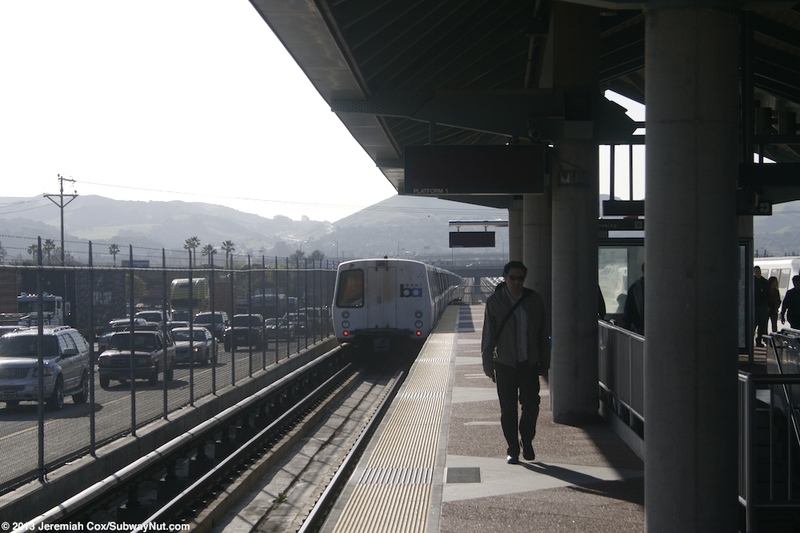 The station itself has a single island platform with the two tracks continuing beyond it. It is here that there is a diamond cross-over and the two tail tracks continue that can accommodate a couple of trainsets back to back. 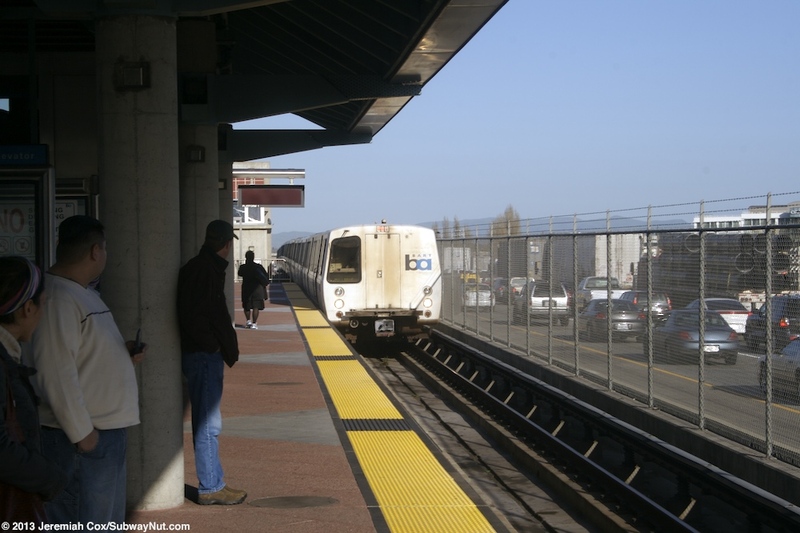 All terminating trains discharge their passengers, leaving service before continuing down these trail tracks as their relay moves to reenter service. 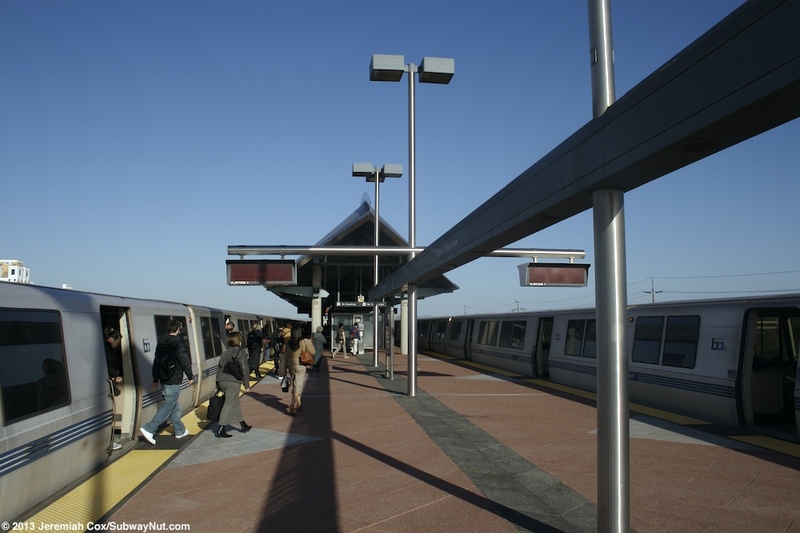 The station has the more modern 1990s design similar to the couple beyond Concord at the end of the Pittsburg/Bay Point Branch. 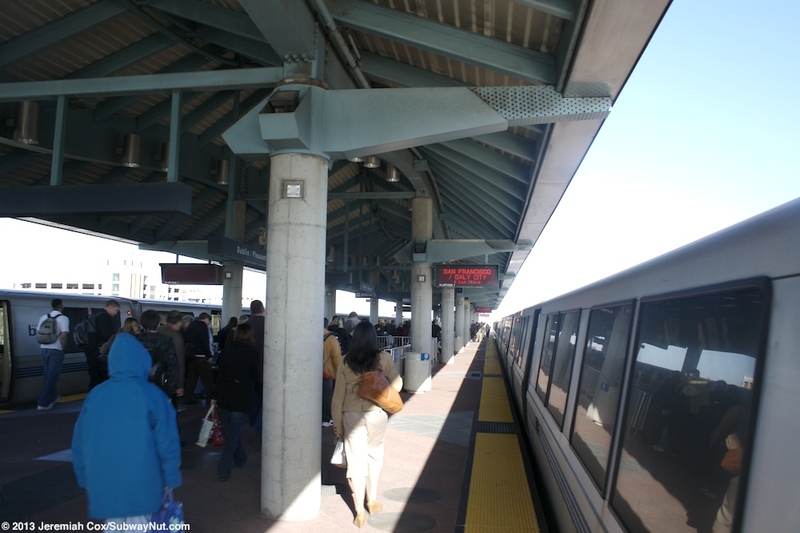 The platform has a wavy canopy over the center of the platform held up by concrete pillars with blue underlying beams holding the canopy up. The exposed portions of the platform have tall silver lampposts and a grey central beam between the lampposts. 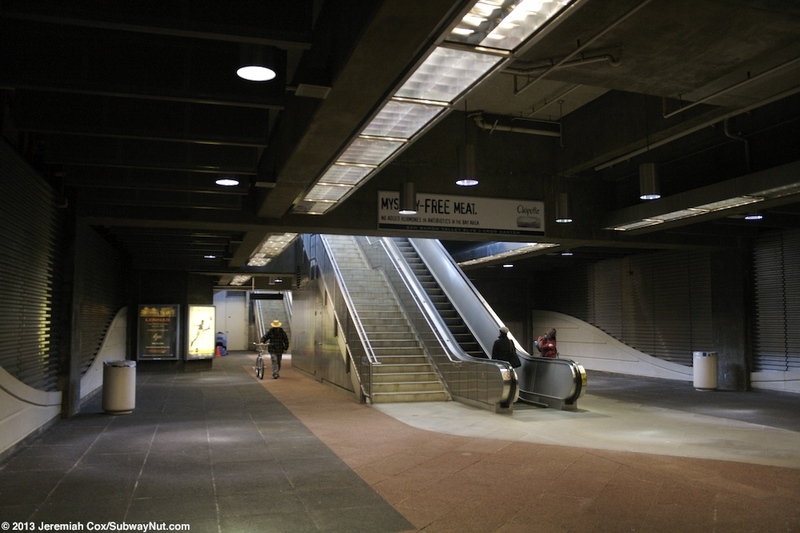 Under this canopy is an elevator and three sets staircase/escalators down to a ground-level fare control area. 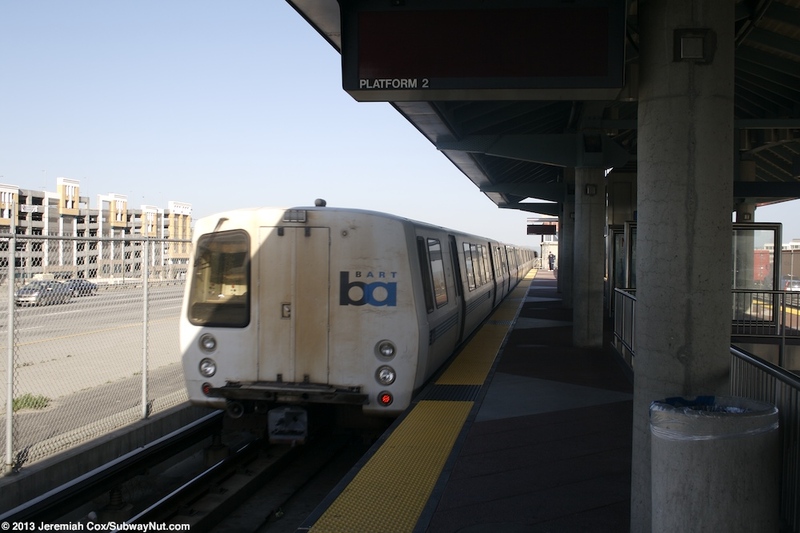 Here (at the east side of the concourse, be towards the front of the train) are the fare gates that lead out (still beneath the train tracks in the median of I-580) to a single entrance on the east side of Demarcus Boulevard in its underpass beneath BART and the highway (at an angle) and sidewalks to either the Dublin or Pleasanton sides of the station. Passengers walking to the the Dublin Side of the station cross narrow Demarcus Blvd to a small pedestrian plaza with some benches for passengers waiting for buses and rides. 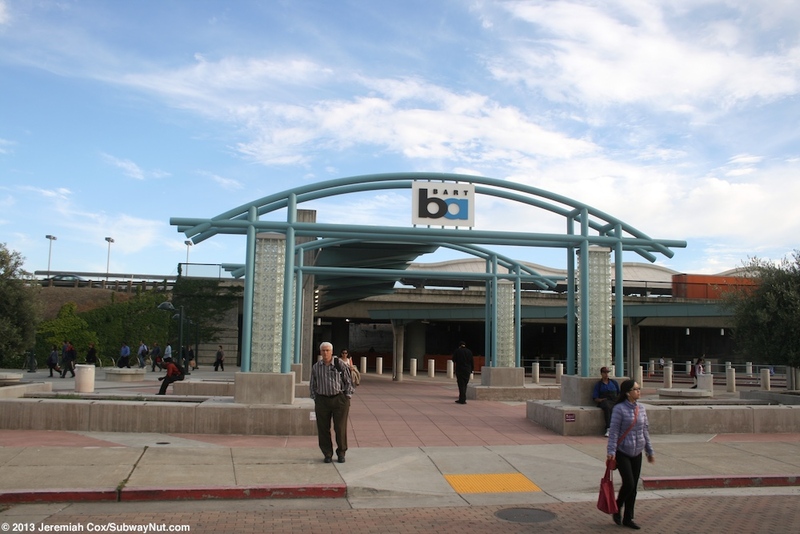 In this plaza are a couple of blue arches with the BART logo on them. Going straight is the station's main bus loop with a blue canopy similar to the platform. 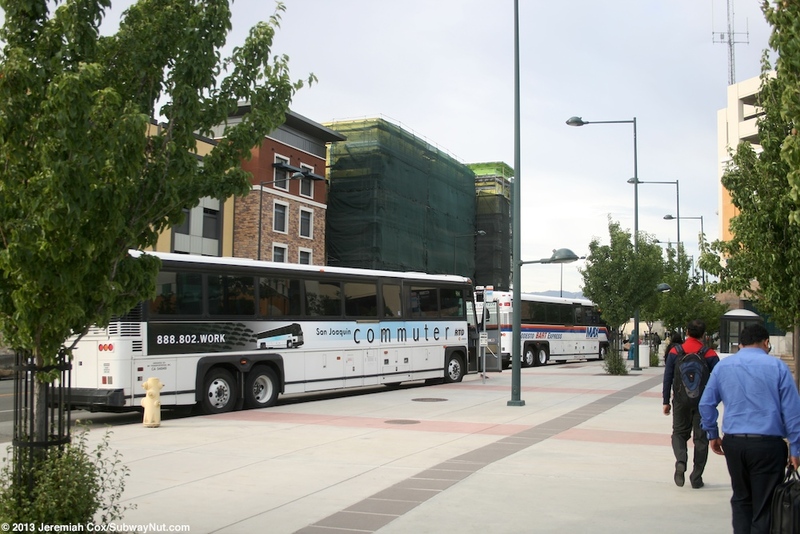 The bus loop has a long line of stops for buses, and buses stop on each side of the canopy. 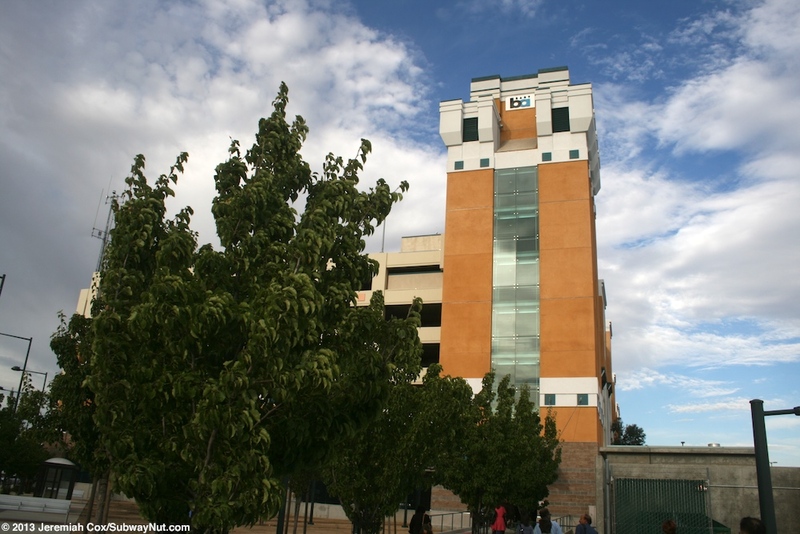 Going the other direction (along Iron Horse Parkway) is the station's main 7 story parking garage ($1 Fee) with four sets of elevators in the orange tower with a BART logo on top closest to the BART station. There are a few other towers just with stairs plus the usual parking ramps. A few other parking lots surround the station area and Vacant land is slowly being built up with new townhouses and other forms of transit oriented development. New subdivisions are in the area beyond the station. The Pleasanton Side is more simple (and more built up). 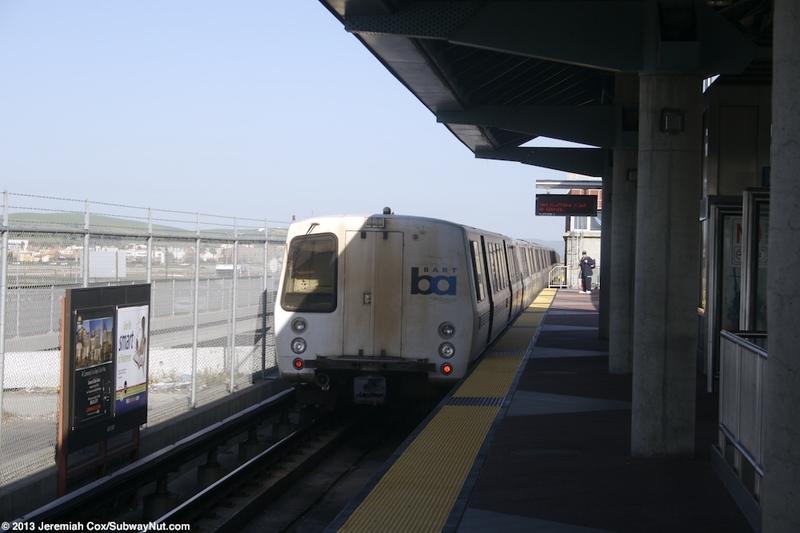 It has Demarcus Blvd turn and run east parallel to the BART station. 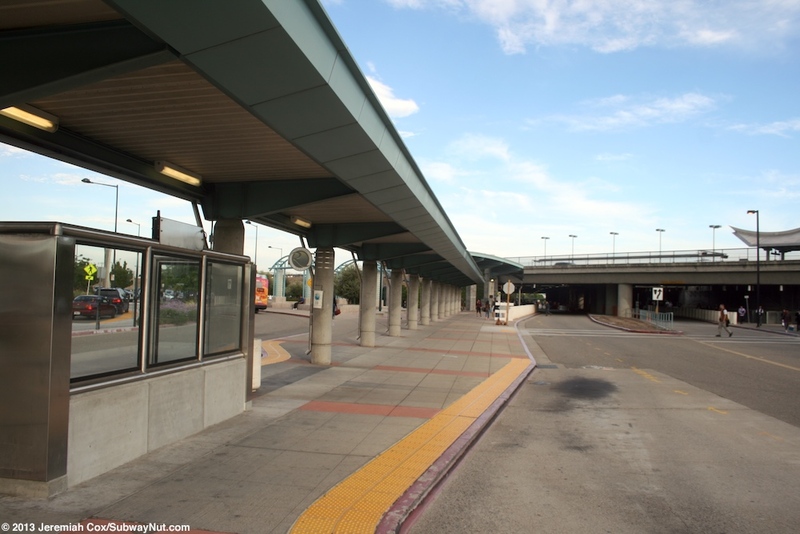 There is a covered walkway that has some more bus stops (as well as private shuttles) and more parking lots south to Owens Drive. Along Owens Drive is a suburban Office Park for Oracle and more subdivisions.